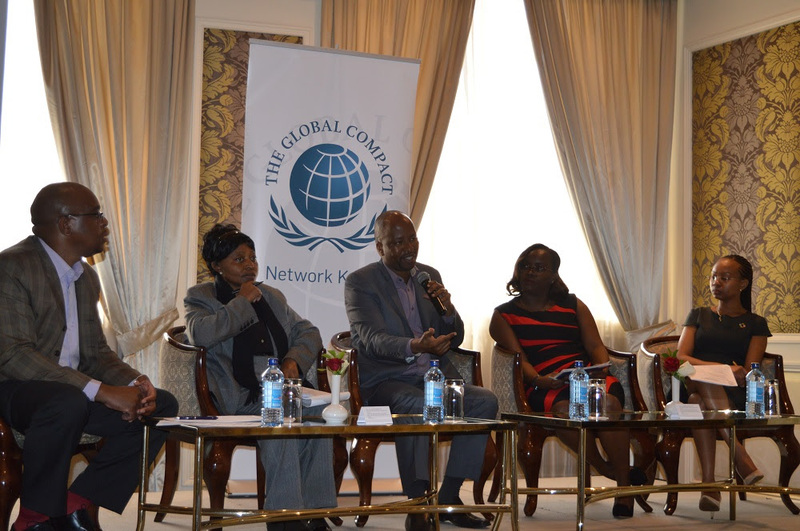 29 November 2017: Global Compact Kenya in collaboration with the Global Reporting Initiative (GRI) and the International Finance Corporation (IFC) held a half day workshop on governance and sustainability reporting. The workshop convened 53 participants from business and non-business entities. Delivering the Key Note address, Central Bank of Kenya Chairman Mr. Mohammed Nyaoga observed that in the last decade, the world has witnessed the emergence of what is commonly referred to as the 'third generation' of corporate governance with an emphasis on sustainability, where the first and second wave focused on legal issues, structures, individual competencies, board independence and stakeholder engagement. 'Sound and effective corporate governance cannot solely rely on the legislative framework, it requires self-discipline and the proper execution of duties by directors and managers of corporate organizations, checks and balances and the promotion of an ethical corporate culture. The tone at the top is key because it drives the behavior of the whole organization all the way from the chairman, the board and down to the front line' said Mr. Nyaoga. The workshop featured two panel discussions on corporate governance and disclosure for companies and investors; and Environmental, Social and Governance (ESG) disclosures. The panel on corporate governance moderated by Paul Ouma, CEO of Institute for Family business comprised of seasoned practitioners in the field such as Stefan Handoyo - Program Lead, International Finance corporation (IFC), Joseph Githaiga- Head of Regulatory Compliance and Advisory, PwC, Duncan Watta- Chairman, Institute Of Directors (IOD) and Wanjiru Kirima- Director, Alternative Prosperity. Stefan Handoyo implored companies to put more emphasis on non-financial reporting to incorporate issues of strategy, history of the board, environment and social policies, as these issues inform investors decisions. He further mentioned that IFC is trying to be a catalyst, encouraging the uptake of corporate governance, emphasizing that "transparency is the mother of all integrated reporting". 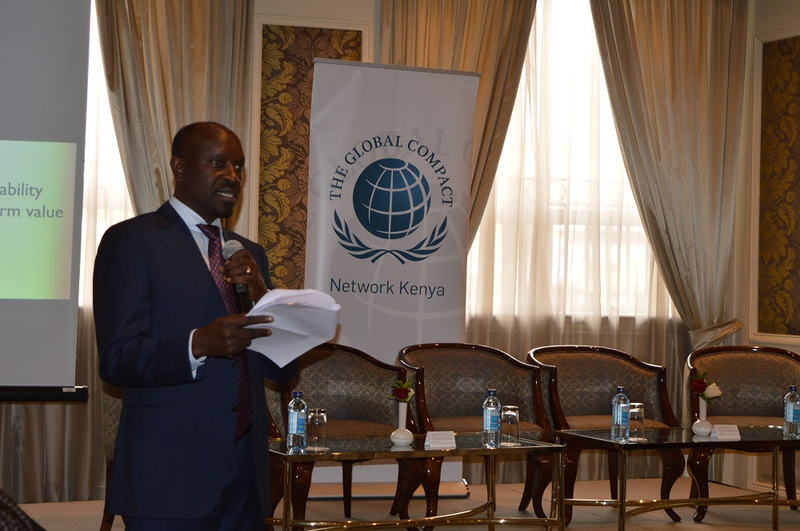 Joseph Githaiga in his remarks observed that Kenya has a comprehensive Companies Act with enhanced set of Directors’ duties critical among which is to promote the success of the company while taking into account the well-being of stakeholders. He also pointed to efforts by individual associations such as the Capital Markets Authority (CMA) that has developed a Code of Corporate Governance. The Code sets out the principles and specific recommendations on the structures and processes that companies should adopt in making good corporate governance an integral part of their business dealings and culture. The Code advocates for the application of standards that go beyond the minimum prescribed by legislation. CMA has also introduced a Stewardship Code which encourages the institution investment community to serve as responsible stewards for their beneficiaries and to help promote good corporate governance and the sustainable success of listed companies. In his closing statement Joseph discussed the role of media in promoting good corporate governance by increasing coverage of such issues. In his remarks, Duncan Watta said that sustainability reporting is an imperative for all companies regardless of sector. 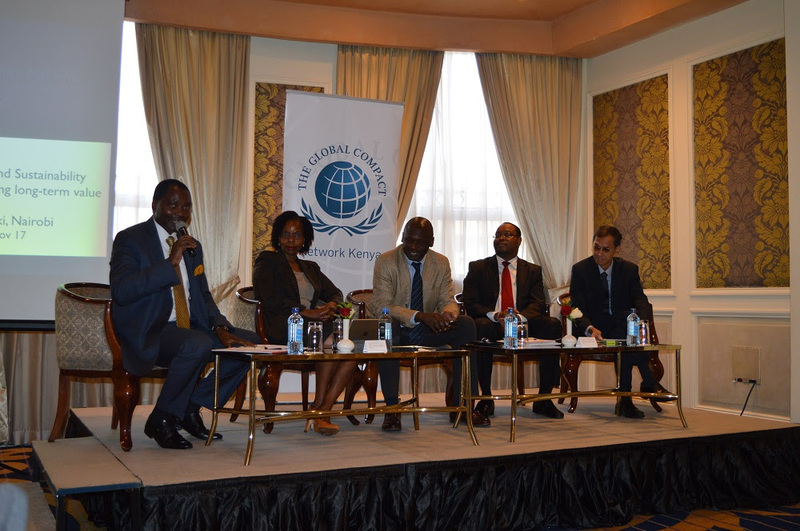 He noted that Kenya struggles with enforcement of good corporate governance, and should borrow a leaf from other countries where stakeholders play a key role in driving corporate accountability. He further mentioned that Kenya should consider making governance and sustainability disclosures mandatory and highlighted trends in other countries where non-disclosure cost companies a lot in mergers and acquisitions. "As we promote governance, we should promote sustainability reporting. Encourage board committees to push for compliance and set apart a committee for compliance. Directors have to be responsible for sustainability." Mr. Watta concluded. Ms. Wanjiru Kirima in her opening remarks noted that "what gets measured gets done." She advised that the role of the board in ensuring good corporate governance should be complemented by wider stakeholder engagement. She challenged companies to go over and beyond compliance to codes to understand and disseminate actions around their ESG performance. Companies were also encouraged to start their sustainability journey slowly and measure progress while managing risks in the process. She reiterated the need to make integrated reporting a requirement rather than voluntary and to put checks and balances in order to make the country investor friendly. She encouraged companies to consider having sustainability issues in Key Performance Indicators (KPIs) to allow proper uptake and accountability. Karen Basiye opened the panel observing that the short-term pursuit of profits by companies remains a major hindrance in adopting sustainability as a key business strategy. 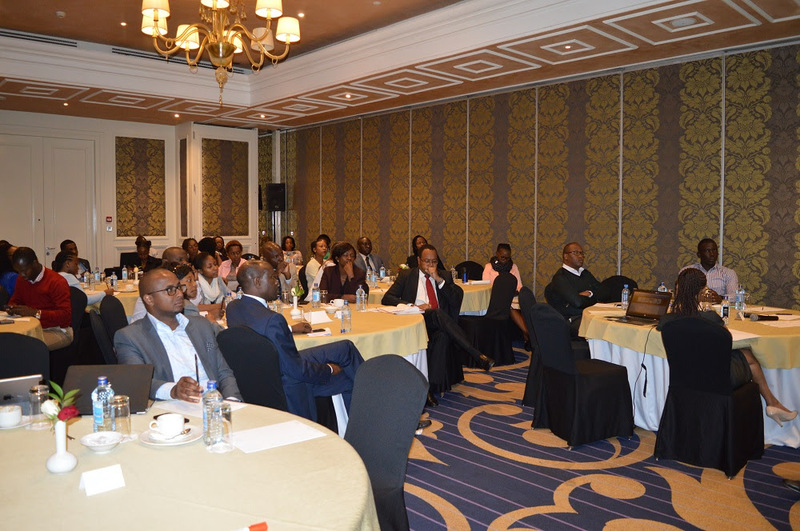 She shared with participants Safaricom's sustainability journey, noting the important role played by the senior management and the board in driving the agenda. In doing so, the company was able to make honest disclosures around critical sustainability issues it was facing such as gender equality, carbon emissions, salary disparities and innovation. She further challenged the media to focus on presenting a balanced view of a company's disclosures and not just the negative aspects. She ended her remarks encouraging companies to work up to the transformative level where they do what is right because its the right thing to do. Mumo Kivuitu in his remarks stated that the business case for sustainability in Kenya is yet to be crystallized. In seeking to identify the true value of a company, he challenged participants to reflect on who benefits from the existence of their business and how the country can create a more enabling environment for businesses that are playing by the rules. Felicitas Irungu stated in her remarks that when one starts a business, one wants it to be a success and around in the next 5,10 years, noting that sustainability is that simple. She reiterated the need to educate all stakeholders on the importance of sustainability, noting that non-financial factors also determine the bottom line. 'In the process of sustainability reporting, a business is able to identify and mitigate risks. It also helps business improve on their day to day operations. Business as usual no longer works.' She added also noting the need to measure sustainable performance of employees. In regards to the education curriculum, she stressed on the need to introduce sustainability at an early level so it is embraced.